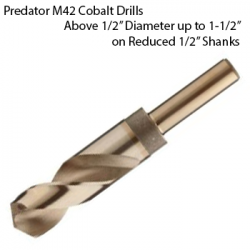 The Best quality Cobalt drill bits, Sizes up to 1/2". Gold, Ground from premium cobalt. Heavy Duty - 135° Split Point - ANSI Standards. 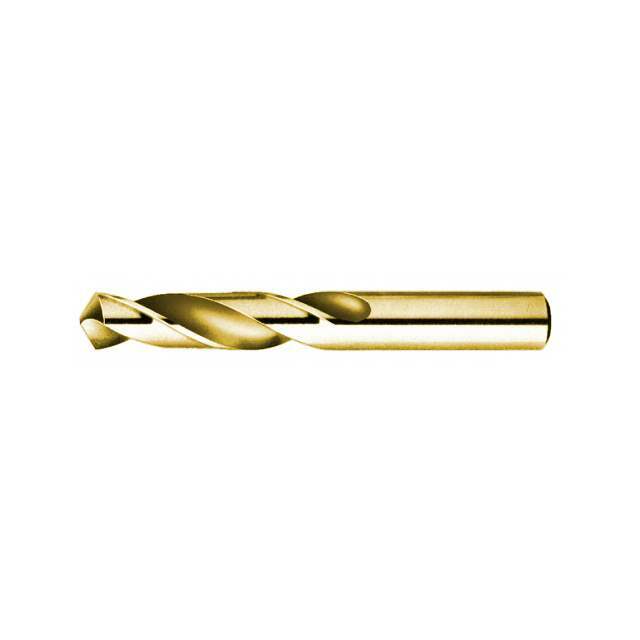 These Drill Bits are not COATED, This is the real McCoy, and there isn't anything better, Period! Don't buy a knife for a gun fight. Cobalt Jobber Drill Bit 3/32"
Cobalt Jobber Drill Bit 1/16"
Cobalt Jobber Drill Bit 7/64"
Cobalt Jobber Drill Bit 9/64"
Cobalt Jobber Drill Bit 5/32"
Cobalt Jobber Drill Bit 1/8"
Cobalt Jobber Drill Bit 11/64"
Cobalt Jobber Drill Bit 3/16"
Cobalt Jobber Drill Bit 13/64"
Cobalt Jobber Drill Bit 7/32"
Cobalt Jobber Drill Bit 15/64"